Dongguan Beetlehouse Clothing Co., Ltd.
Undertaker: Guangdong Fashion Research &Design Center, Ltd.,Co. Dongguan Dingjia Culture Diffusion Co., Ltd.
Online Supports: www.fashion.org.cn, www.efu.com.cn, www.nz86.com, www.china-ef.com, www.gdfz.org, www.humen.gov.cn, www.fumin.com, www.humen.com, www.nxnhh.icu and etc. 1. The theme of this contest is “Creation Power”. The works must be designed for the aim of “Creation, Positive Power, Original Ecology, Fashion and Practicality” and to embody 2013/2014 latest fashion with notable innovation, commercial value and market potential. The range is children’s wear with complete series and accessories. Each series includes 5 suits. 2. The design sketch should be completed in color, along with a series of characters drawn on (The required specification is 1050 pixels* 800 pixels). Name of the artist, name of the work, as well as the swatch used should be placed on the top left of your work. JPG or GIF is the required image format (for Graphic Design picture). Either hand-painted work or computer-produced ones will be accepted. 3. Also attach an article of design inspiring thought (DOC) of your works with no less than 200 words. Web voting for the final: September 1 to 20, 2013. Contest result announcement: September 24, 2013 and do the lucky draw. 1. The contestants click before deadline www.humen.gov.cn，www.humen.com, www.fumin.com or www.gdfz.org to download the application form. Fill the form and pack with your works, personal photo and ID card to email to [email protected] Please title the email with “Online Fashion Design Contest Contribution” and your name. Deadline is subject to sending time. Twenty Lucky Web Voters: Children’s apparel valued about 500RMB provided by Dongguan Beetle House Clothing Co., Ltd.
Work Opportunity: Gold, silver, bronze medal winner will receive the job offer with an annual salary of no less than 200000, 150000, 100000 RMB provided by Dongguan Beetlehouse Clothing Co., Ltd. For other finalists, the company will also provide competitive salary according to their work ability. Final: The selected 30 works will be on www.humen.gov.cn and scored by professional judge group and web voters. The finalists can use they personal Sina Weibo to introduce and propagate their works (The professional judge group score 80%, the web voters score 20%) and comes out the Gold, Silver and Bronze Prize winner. Entrepreneur Recommend Award: The judge group will be composed by the representatives of Dongguan Beetlehouse Clothing Co., Ltd. and score 30 final works and the highest scorer will win this prize. 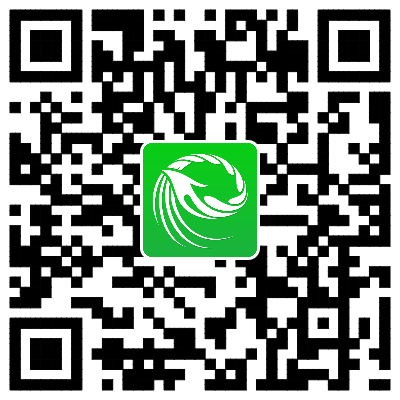 This competition is exclusively title sponsored by Dongguan Beetlehouse Clothing Co., Ltd. The winners and finalists will receive job offer in the "Beetle House". At the night of November 17th, during China (Humen) International Fashion Fair, the awards night for “Beetle House Cup ” The 1st China (Humen) International Children’s Wear Online Design will be held. The gold, silver, bronze winners will be invited at the scene to receive the awards in person as well as the individual awards winner. At the same time, all winning work will be showed by professional models. The transportation fee, board, lodging and other related costs as well as the clothes production costs for the winners attended the awards will be covered by the “Beetlehouse” Company.